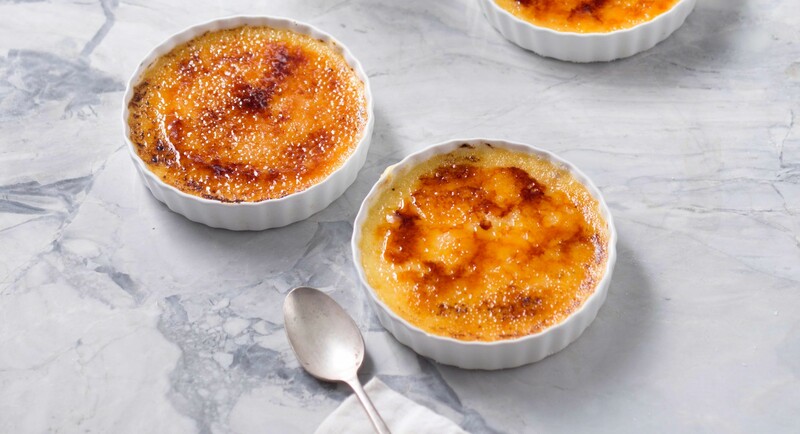 Classic creme brulee gets an update in this Paleo-friendly recipe. Coconut cream makes for a remarkably thick and delicious custard, and that first crack into the torched coconut sugar crust is so satisfying. Slice vanilla bean lengthwise, then scrape out seeds with a sharp paring knife. Add bean and seeds to coconut cream in a small saucepan. Bring to a simmer over medium heat. When cream begins to simmer, cover, turn off heat, then let infuse for 15 minutes. Remove vanilla bean and keep mixture warm over low heat. In a large bowl, whisk together yolks and 1 cup coconut sugar until light and fluffy. Gradually pour in coconut cream mixture, whisking all the while. Stir in salt. Divide mixture between 4 ramekins. 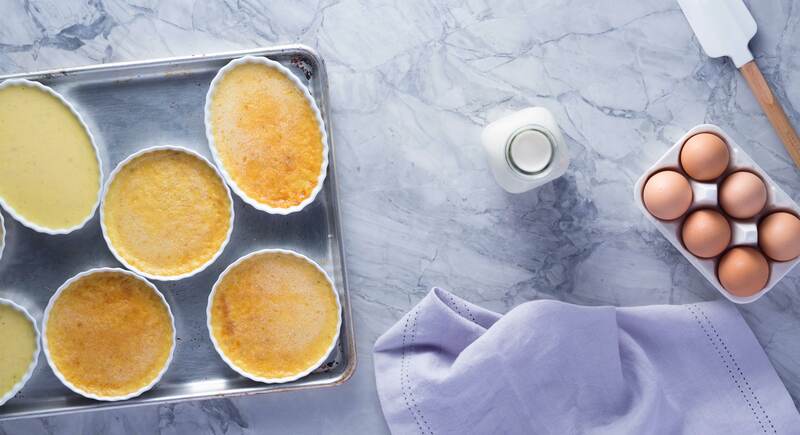 Place a paper towel in the bottom of a high-sided Pyrex baking pan and place ramekins in tray. Pour boiling water into tray until it reaches 3/4 of the way up the sides of the ramekins. Bake in oven 30 to 40 minutes, until cream has set but is still wobbly. Remove from oven, cover, and let cool fully in fridge. When ready to eat, sprinkle 1 tablespoon coconut sugar over each ramekin. Using a kitchen torch, slowly caramelize the sugar to create a golden top.